Nisha is the Founding President of Nuru Social Enterprises, stepping into this role after joining Nuru as its Chief Financial Officer in 2012. Nisha moved into the non-profit space full time as KIPP LA’s Chief Financial and Operating Officer and has extensive experience in international development through consulting with UNICEF in New York as well as by volunteering with local social enterprise organizations while living in Mumbai for two years. Nisha led shared services strategy for India and Singapore at Goldman Sachs and spent time in London, Hong Kong, and Mumbai in her role as Head of Expense Management for the Lehman and Nomura India offices. 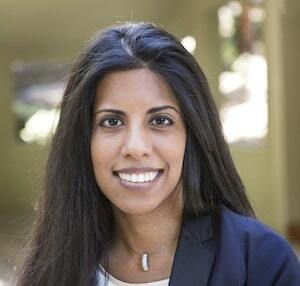 Prior to her financial services career, Nisha oversaw finance teams at Time Inc. and Scholastic Inc. Nisha earned her undergraduate degree at The Wharton School, along with a second degree in South Asian Studies, and an M.A. in Quantitative Methods in Social Sciences at Columbia University. Late last year nonprofit Nuru International made a major transition from a donor-focused operating model toward a profit driven one. Nisha Chakravarty, who joined as the first President and Founder of Nuru Social Enterprises, describes the process and the quest for a “perfect” model of sustainability.